The majority of all fire-related deaths occurring in Australia are the result of a residential home fire, with the majority of deceased resting or sleeping at the time of the incident. Without working smoke alarms, residents are four times more likely to die as a result of a residential home fire than a residence with well-serviced alarm units. It is a legal requirement in Australia to have a working smoke alarm installed within owner-occupied homes, rental properties, relocatable homes, caravans & campervans or any other type of building where people reside. In New South Wales, residents must install at least one active smoke alarm on each level of their residential building. 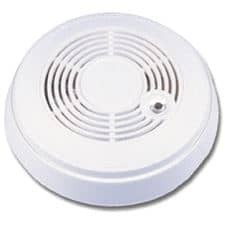 Most people are aware that a smoke alarm is a standalone device that senses smoke and produces an audible and/or visual alarm to alert people to the presence of a fire. However, many people are not aware of the different alarm types and the options to power them. 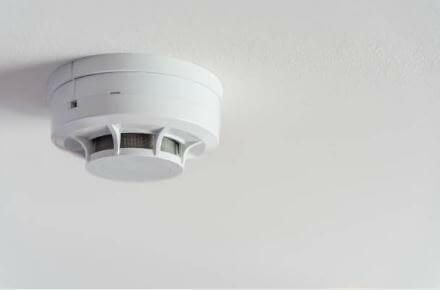 The two major types of smoke alarms used in dwellings; ‘photoelectric’ and ‘ionisation’. Photoelectric alarms use a reflective chamber and light source to visually detect the presence of smoke as it enters the unit. Ionisation Alarms have a small amount of radioactive material between two electrically charged plates. This ionises the air between the plates causing the electric current to flow between the plates. As smoke enters the chambers it reduces the ability for the current to pass. This current drop is detected and causes the unit to go into alarm. There are several ways to power your residential smoke alarms. They can be battery powered, hard-wired into the homes 240v supply or can be powered by a lithium-ion battery that will last up to 10 years. Interconnected alarms are linked so that in the event of one alarm detecting smoke or heat, all interconnected alarms will go into alarm mode, sounding an effective warning throughout the entire property. All the alarms in a building will become activated simultaneously and it minimises the very real risk that in the event of a fire a heavy sleeper, shut behind a bedroom door, will not be woken in time by an alarm. The Fire Protection Association of Australia recommends that all residential buildings should be equipped with photoelectric smoke alarms that respond effectively to slow smouldering fires, considered the highest fire safety risk in a household, with ionisation smoke alarms as a supplement to photoelectric smoke alarms. Lithium battery and 240v alarms are considered the best options to power alarms, with any standard batteries needing to be changed every 12 months. 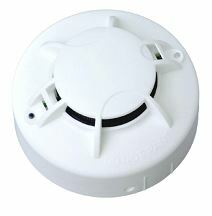 Hard wired and interconnected smoke alarms are now required in any newly constructed dwellings. Call East Coast Fire & Safety today!